I’m excited to be exhibiting at Southfields Gallery, 223 Wimbledon Park Road, SW18 5RH. 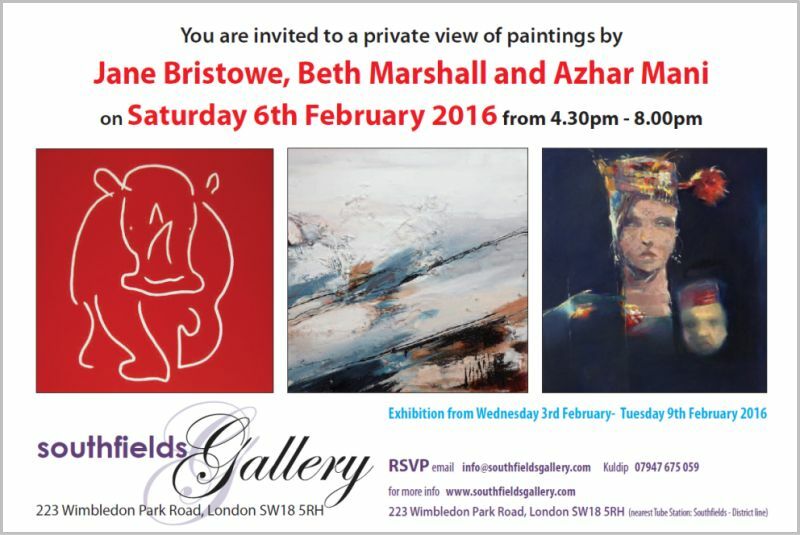 The private view is on Saturday 6th February 4.30 – 8.00pm and the exhibition runs from 3rd February to 9th February. You will find the gallery a stone’s throw away from Southfields tube station. Ten years have passed since I first made my linocut ‘Rhinoceros’, which was short-listed for Wildlife Artist of the Year 2008. After such a long time, I decided to make a second edition which will be on display for the first time at this exhibition.